Tata Communications Payment Solutions Limited (TCPSL) formerly known as Tata Communications Banking InfraSolutions, is a wholly owned subsidiary of Tata Communications. TCPSL is one of the fastest growing Payment Solutions specialists in India offering end-to-end B2B and B2C solutions. Being a 100% Banking and Financial Services focused organisation, TCPSL offers one stop payment solutions to all categories of banks including PSU, Private, MNC and Co-operative banks. TCPSL’s White Label ATM offering under the brand name “Indicash” marks its foray in the B2C space. With this it holds the distinction of being the first White Label ATM service provider in the country. Under this service offering, TCPSL offers ATM services across the country through Indicash ATM network with special focus on semi urban and rural areas. India’s largest White Label ATM service provider with over ~8200 ATMs spread across the country. 'Indicash' is India’s first White Label ATM launched to further RBI’s vision of driving ATM penetration in the country. TCPSL being the market leaders in the outsourced ATM services industry, is well positioned to leverage this opportunity. The brand name 'Indicash' is symbolic of 2 words 'India' and 'Cash'. 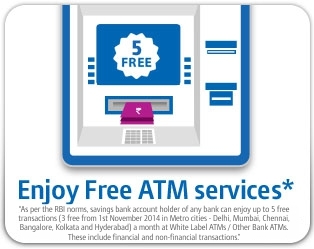 The attempt is to drive the 'India connect' and reinforce the role of our 'ATM services'. The brand name reinforces the role Indicash ATMs would play in the country i.e drive financial accessibility for the masses across cities, towns and villages in the country and at the same time provide them with a delightful experience. Indicash offering provides flexible "0" capex ATM services across the country to Banks. These services enable banks to focus on their core business, establish core banking processes, customer acquisition and retention channels with minimum resource allocations.